Rogue: Hey there folks, so I managed to sit down for a second and chat with Don't Panic Cosplay: Tannis about her work. [To Don't Panic] Thank you for taking the time to do this interview. Rogue: So I guess I�ll start with the title. Where did the cosplay identity Don't Panic Cosplay come from? Tannis: I�m a huge Douglas Adams fan and The Hitchhiker�s Guide to the Galaxy series has been a huge influence on me. The man is a genius, in my opinion. So I chose the title Don�t Panic, written on the cover of the Guide, not only to pay tribute to that brilliant writer but also because I think it�s great advice. When you find yourself stranded in some unknown part of the galaxy, just remember- Don�t Panic (and bring your towel). 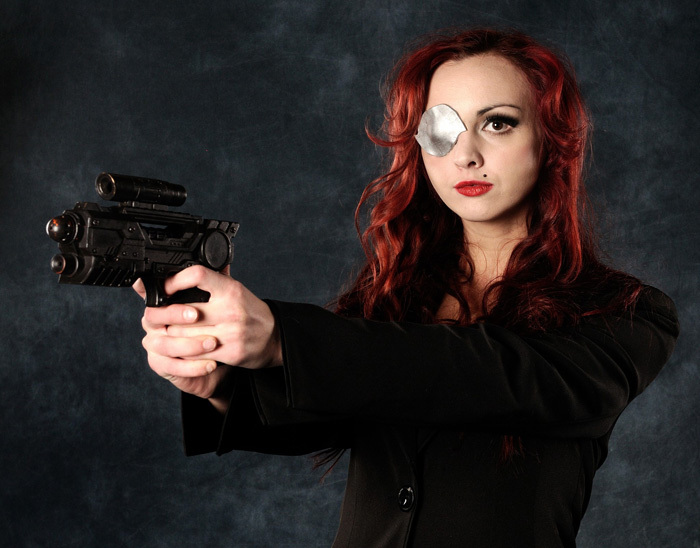 Rogue: Very nice and you�ve even done a Trillian cosplay correct? Tannis: Yeah, that one was a lot of fun! I'd definitely like to improve it a little for the next time around. I chose Trillian from the series because is a great character. As Tricia McMillan, she abandons the monotony of life on Earth to travel the strange galaxy with an even stranger Galactic President. I think at times we can all relate to that desire to run off somewhere exotic to escape, even just for a little while. Rogue: So when did you first start cosplaying? Tannis: My first experience with cosplay was Halloween 2011. As a kid I used to have awesome costumes that my mom would make me, I even went as Sailor Venus. Yet as an adult I was never quite satisfied with what I came up with when it came around. So in 2011 I found a tutorial on how to make a Slave Leia costume out of wire, mache, hot glue, paint, and some scrap fabric. After that taste of costume building, I knew I could never stop. Rogue: I know what you mean, I too was bitten by the cosplay bug. What is your favourite aspect of cosplay? 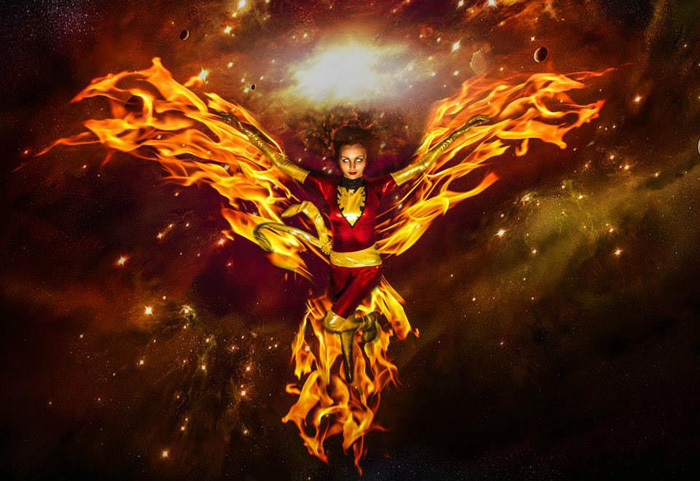 Tannis: My favourite aspect has to be the moment I put on a brand new costume that I�ve worked hard on to feel like I�ve stepped off the pages of a comic book or out of a TV screen. This also goes for when I see pictures of other cosplayers I�ve made costumes for. For me cosplay is a very personal experience, so it�s so rewarding to see the result of something I poured my heart and soul into whether it�s on myself or others. 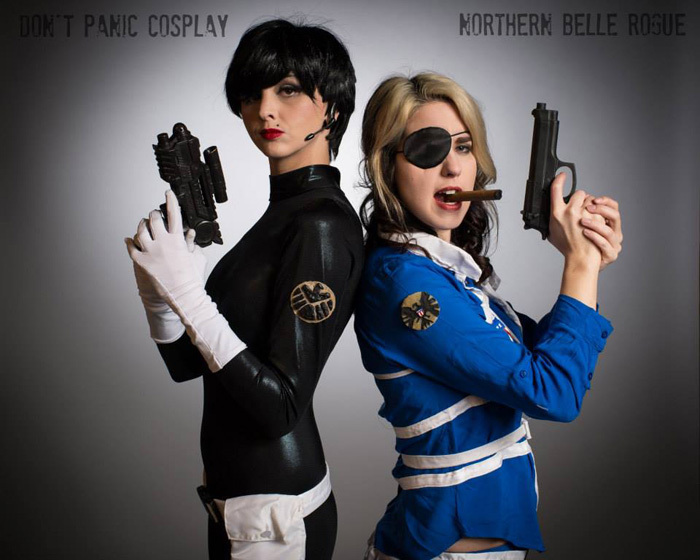 Tannis: I�m definitely a fabric based cosplayer. I like to sew my costumes together from scratch to challenge myself to do what the characters must have done to get those awesome outfits. However, I started cosplaying with paper mache, hot glue, and acrylic paint, so I don�t feel quite right when I don�t need to use them. It almost seems like something is missing, but I do still get a chance to use them often. Rogue: So that said, what is your greatest challenge in cosplay? Tannis: My greatest challenge lies in hunting for the perfect fabrics. As a seamstress primarily, nothing is more satisfying than finding the right shade of fabric with the right kind of material. My favourite product- hologram lycra- is mostly discontinued, so it�s quite the quest to hunt for the right colour. I often have to travel 45 minutes out of the city just to get that fabric! Rogue: And what is it about hologram lycra that tickles you so? Tannis: It shines and catches the light in pictures, and makes the bodysuit look like it's been poured from action figure plastic. Rogue: Fair. Hopefully they start producing it again for you. My next question, do you have any cosplayers that you admire/follow? If so who and why? 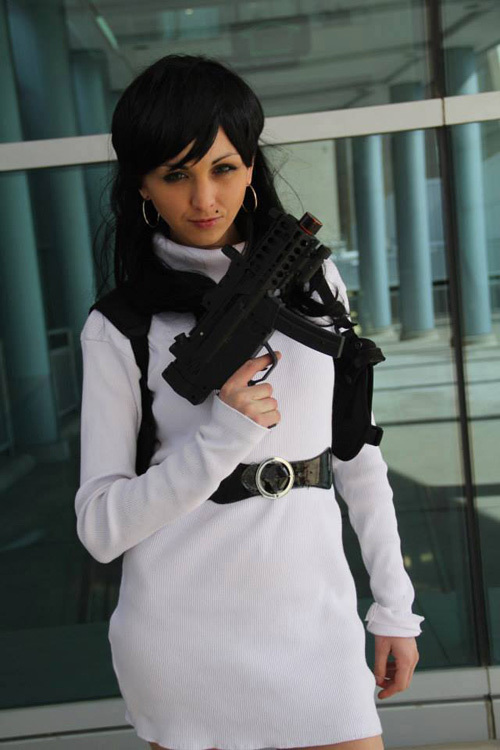 Tannis: I really respect Nicole Marie Jean as a cosplayer. She's an incredibly beautiful woman, but she makes a point to inform us that it's totally okay to be silly and look ridiculous. I think that's a great lesson in having confidence in yourself. And not to mention how talented she is, her costume repertoire is jealousy inducing. I also follow Adrianne Curry. I watched her on the first season of America's Next Top Model, and knew I wanted to follow her career by the copious amounts of Jay and Silent Bob quotes she uttered in her season. Since then, I've been following her activities in the cosplay world. This woman is incredibly open about all of her ups and downs, and always looks to die for in her cosplays. She's truly an inspiration as both a cosplayer and a human being. Rogue: Interesting, I didn�t know that about Adrianne Curry. Out of all the cosplays you've made (and/or modeled) to date, which is your favourite and why? 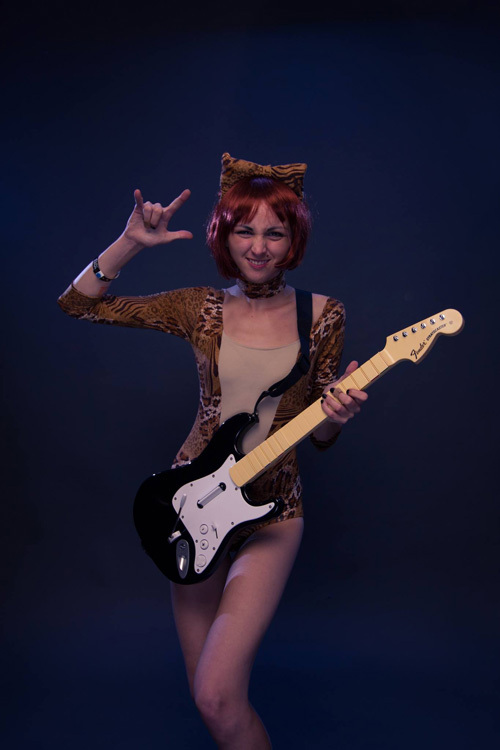 Tannis: My favourite costume to date has to be Josie from Josie and the Pussycats. I�ve spent my life since the movie came out being told I look like the actress, so that sparked my decision to cosplay the comic book version. Just wearing the cute little cat/musician/detective costume puts me in a totally upbeat mindset, not to mention having two of my favourite ladies in the cosplay world to join in my antics as Melody and Val. Rogue: I think I may recall that one. ;) If you had one piece of advice for new cosplayers what would it be? Tannis: Be whatever character you want to be, and put together your costume any way you feel comfortable. Remember, the most important part is to have fun dressing up and acting like your favourite character. Rogue: Excellent advice! Now, do you have any new cosplays in the works that you can tell us about? 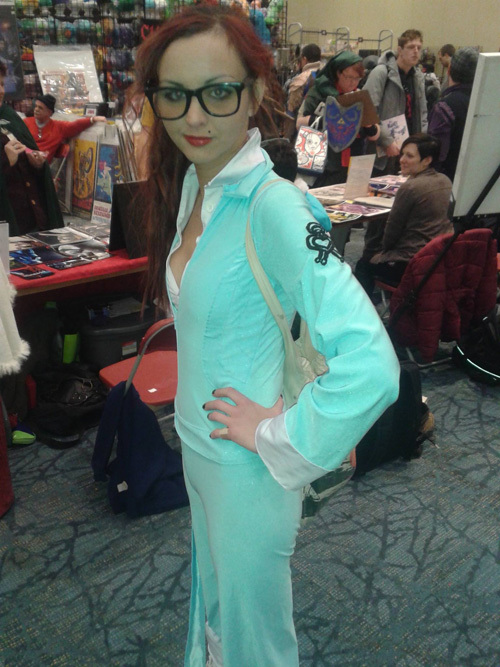 Tannis: Right now I�m working on the mermaid version of Ariel from The Little Mermaid, with a real world spin on it. It�s quite a challenge building fins that I can walk inside of without revealing my feet, especially since I�m covering the whole thing in hand cut scales. It�s my biggest project to date. Rogue: Well that sounds exciting and when will you be debuting that? Rogue: What other conventions do you plan on attending this year? Tannis: For sure I�ll be at Atomic Lollipop in July and Fanexpo in August, but I try to make it out to as many conventions in Southwestern Ontario as I can. Rogue: Do you take commissions? Tannis: I would absolutely freak out to meet Elijah Wood. I�ve been a huge fan since Flipper first came out in theaters, right up to his most recent work in the FX series Wilfred. I think if I had to choose a cosplay to meet him in- and it would be a very difficult choice because I love so much of his work- it would have to be as Nancy Callahan from Sin City. While I could meet him as a hobbit, his silent performance as Kevin always gives me the chills and highlights to me why he�s such an impressive actor. Rogue: I couldn�t agree more. He gives me the hebegebees. Well thank you very much for your time and I look forward to seeing you at future events. Tannis: And I look forward to seeing you, and everyone else as well. And just remember- Don't Panic and bring your towels.